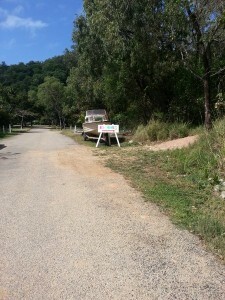 We left paradise at Portland Roads and moved to Mareeba in July 2014. Mareeba is a lovely country town 50 minutes drive from Cairns, and we have settled there (probably for a few years). Seamus is building websites, selling Mosiguard and Rainforest Rejuvenation online, and at the markets around Mareeba. We will continue to update this blog (irregularly) as we have many more photos and stories to share. One of our local crocs was seen fishing today. It knows one of the boats and usually comes for a visit when that boat is launched. A group of tourists were also there attracted by the croc which was attracted by the boat and a school of fish further out. I saw it catch a fish but wasn’t quick enough to get it on camera. After the school of fish moved on, the croc cruised over to the point to check us out. 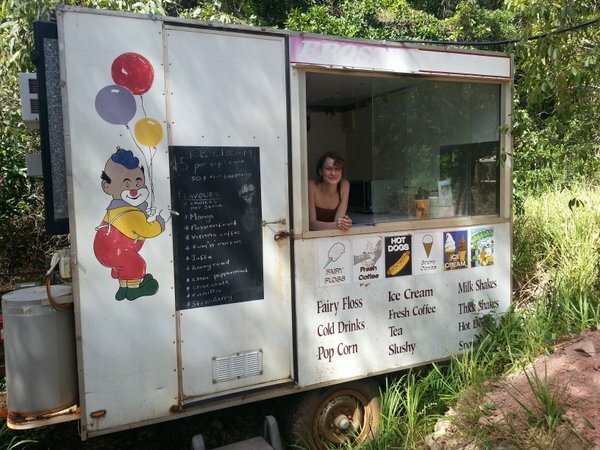 Friendly ice-cream service, in Portland Roads, Far North Queensland. 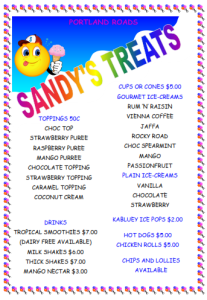 Sandy’s Treats offers friendly ice-cream service, in Portland Roads, Far North Queensland. “Our range of delicious gourmet ice-creams, sold in the bush, will bring a smile to everyone’s dial. If ice-cream is not your fancy we also have a large of real fruit smoothies and nectars as well as wonderful milkshakes made with your favourite ice-cream flavour or fruit purees. If a quick bite is what you need our “Shake ‘n’ Dog” will do the trick, and all with a friendly smile. You can view or print the menu by clicking the image below. 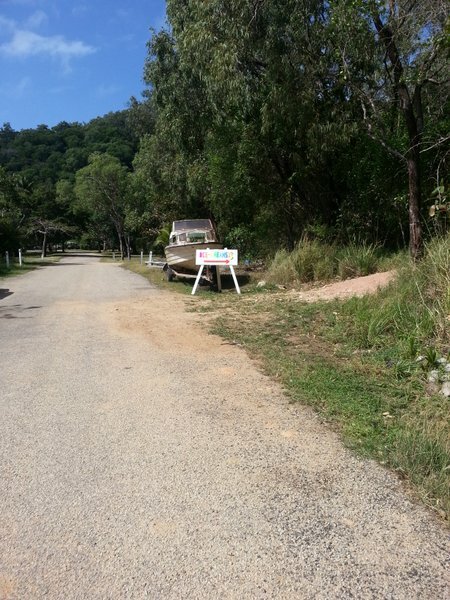 The Lockhart River Art Gang Are Back! Three of Australia’s leading female Indigenous artists have reunited for an exclusive exhibition called REUNION at Vivien Anderson Gallery, 16 May – 9 June. Colloquially known as the founding members of the Lockhart River Art Gang, Samantha Hobson (SH), Rosella Namok (RN) and Fiona Omeenyo (FO) are exhibiting their new works in a joint exhibition for the first time in over 10 years. The art stars talk about their new exhibition and their new works. From Cairns Indigenous Art Fair Newsletter. Watching a sunbird frolicking in the rain. 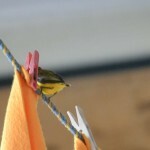 Although I try to avoid anthropomorphism, it was hard to not feel that this little bird was having a great deal of fun. Our neighbour on the hill behind us brought down this strange coloured beetle that he’d found. He’s been here for 20 odd years and has never seen one this colour before. If anyone knows what this beetle is let us know. We think it’s a Christmas Beetle (Scarabaeidae Rutelinae) but can’t find these colours anywhere in our fieldguides or on the net. We have now found out the beetle is Dilocrosis balteata. We’re trying to get more info on it. “Your beetle is Dilocrosis balteata and belongs in the Family Cetoniidae – these are flower beetles and your beetle also likes to eat fruit. I collected some in my garden the other day. 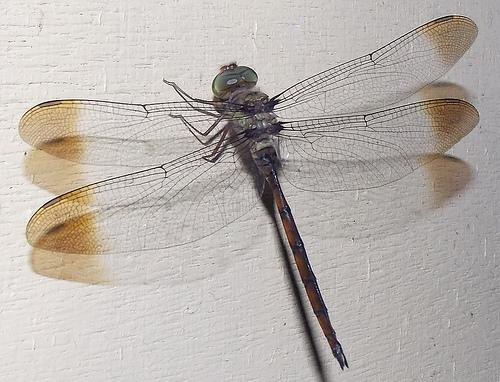 I breed them up and supply them to schools for children to rear and breed and learn about insects in the classroom. D.balteata occurs in Papua New Guinea all the way down the coast to approx Paluma (near Townsville). They like to breed in humus usually in hollow trees . They are quite common actually but rarely seen , you can find them on blossom of Euodia trees, Eucalypts, Syzigiums etc usually quite high up. We are doing a revision of this Genus of beetles at the moment but it all takes time. Jack has written, with co-author Paul D Brock, “The Complete Field Guide to Stick And Leaf Insects Of Australia“. It’s available on the Australian Insect Farm website. 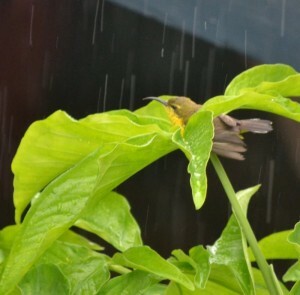 Our baby sunbirds left the nest today. I’m assuming both of them left as I only actually saw one go. 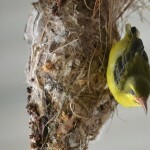 Both parents were hovering close by the nest, twittering away. 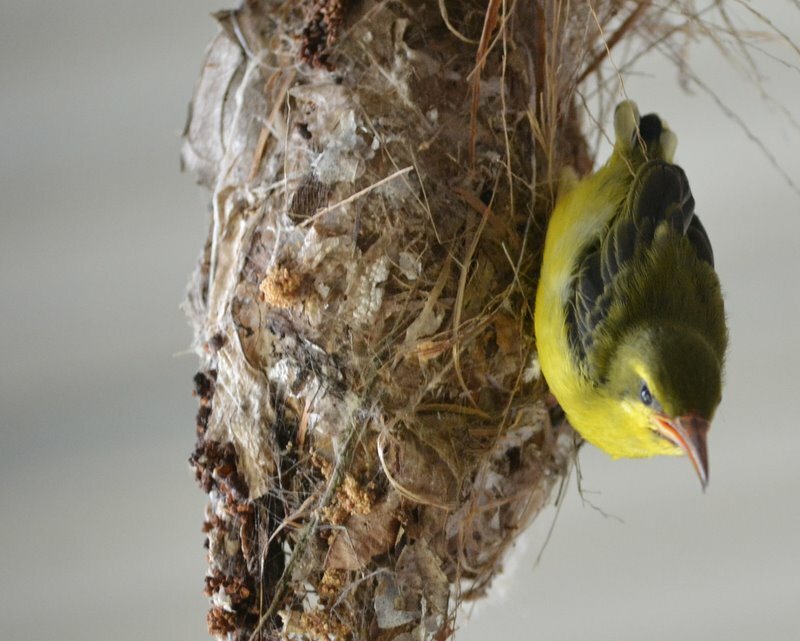 The baby cautiously crawled out of the nest, holding on with it’s claws until it’s beak was pointing vertically towards the floor. 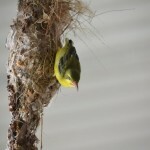 Then with much twittering from parents, he let go, almost tumbled but then started flying. Incredible to watch. I didn’t have time to video it and only got two photos. 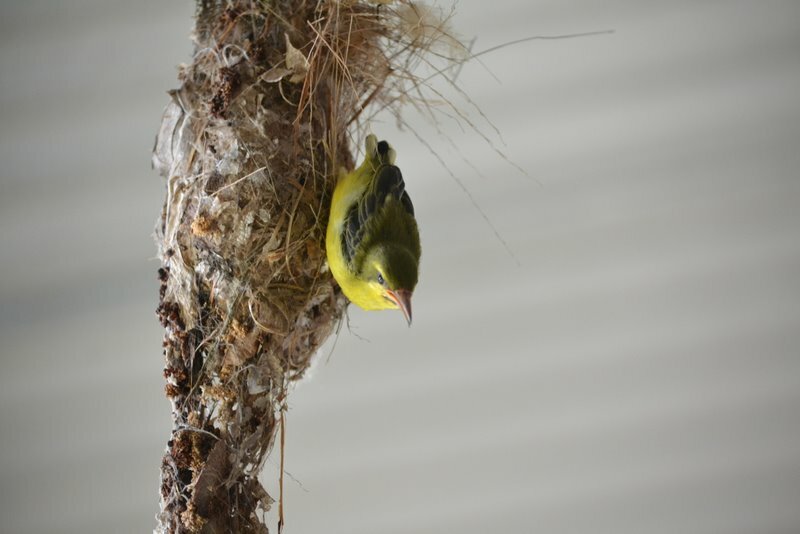 I watched him outside for a little while – both parent birds keeping an eye on him. 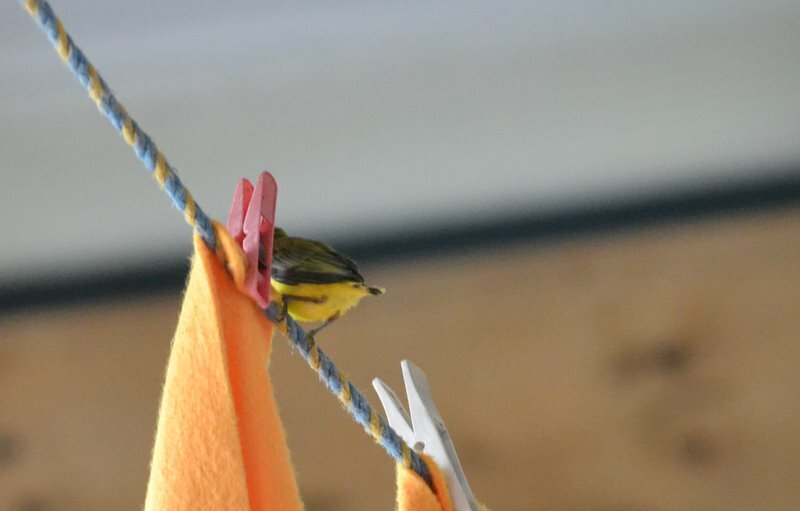 Couldn’t see the other baby, so I suppose it was flying around somewhere.